The prime minister of Singapore just accepted a 36 percent pay cut, but is still the highest paid elected official in the world. 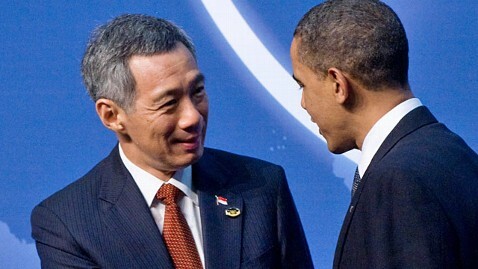 Prime Minister Lee Hsien Loong 's US $1.7 million salary is four times more than President Obama earns. Lee appointed a committee in May 2011 to review the level of political salaries after coming under attack from his political opponents amid mounting concerns about income inequality and the cost of living in the city-state. The committee said today that despite the recommended cuts, salaries for those that hold political office still need to match those in the private sector in order to attract the brightest and the best to public service. "Salaries must be competitive so that people of the right caliber are not deterred from stepping forward to lead the country. Political service ethos entails making sacrifices and hence there should be a discount in the pay formula," the committee said. The big salaries that politicians receive in Singapore are often cited as a reason why it's considered one of the least corrupt countries. Transparency International's annual Corruption Perceptions Index ranks Singapore as the fifth least corrupt in the world.